SeizerStyle Designs does a wider variety of jobs than you would typically expect. Besides the more noticeable promotional and marketing material for businesses we also do websites and graphic design jobs for individuals. We cater for special occasions such as weddings, anniversaries and birthdays. Our diversity allows us to be a full service provider for both regular business activities and one time special occasions. Find out what SeizerStyle Designs is all about through our Brand Brief. Graphic designs are not limited to paper and electronic mediums. Our designs can be applied to almost any medium that you can think of. T-shirts, product labels, mugs can all be designed with quality to fit the desired medium. 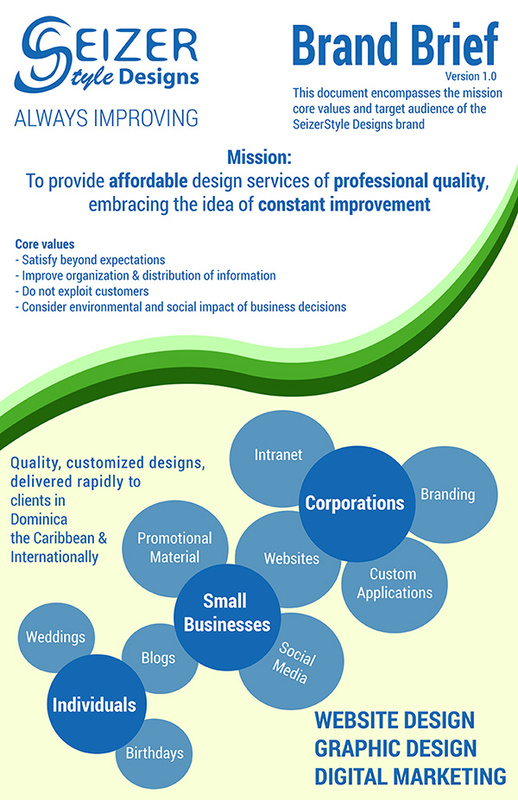 Feel free to contact us to discuss your design requirements. Mother’s Day is just around the corner. Get a special 20% discount on any Mother’s Day design for 2014 with the special code LuvMom2014. Customize a greeting card, create a digital photo gallery or any other personalized design for the mother or mother figure of your choice.